Dennis has a multi-disciplinary background in geoinformatics, water policy/management and environmental systems analysis. His research interests are in the interactions and interdependencies between energy and environmental systems, with a focus on the wider resource use implication of long-term energy system trajectories/policies, and how these may affect future food security, ecosystem services and livelihoods. Dennis is involved in the development of the land and water modules of the UK foreseer tool, which accounts for the current and projects future land and water resource requirement of different UK energy system pathways that achieve 80% GHG emissions reduction by 2050. 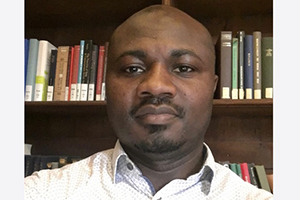 Prior to joining the Use Less Group at Engineering Department of University of Cambridge in 2013, Dennis studied for a PhD in Environmental Science at the University of Lancaster. His PhD research focused on analysing and mapping terrestrial carbon sequestration opportunities across UK landscapes. He also holds a MSc. in Water Science, Policy and Management from Christ Church, Oxford University.